Between January 2015 and December 2019, approximately 11,430 direct employees and resident contractors hires in the combined operations, maintenance, and engineering occupations will be needed to replace attrition and fill newly created positions. Dream It. Do It. 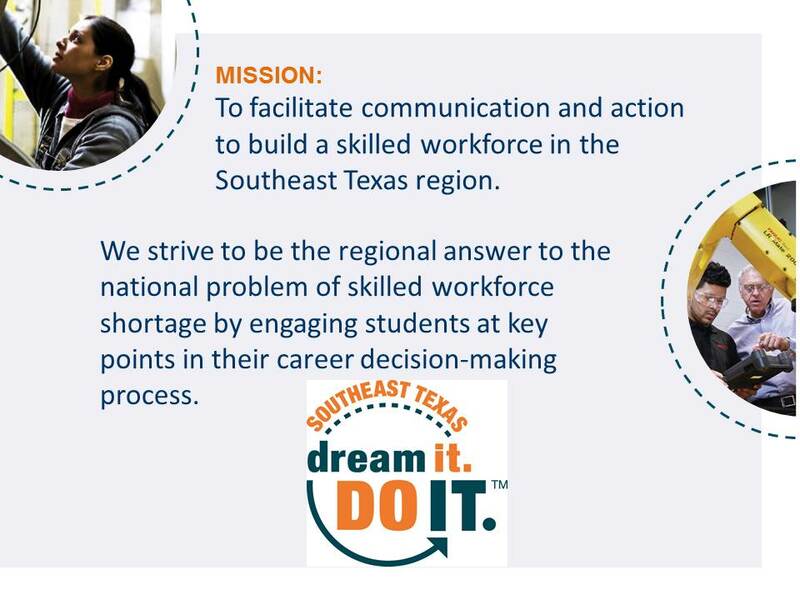 Southeast Texas is the grassroots authority on influencing the perception of manufacturing careers by leveraging strategic partnerships to attract and recruit a qualified manufacturing workforce. Our target audience is students, parents, and educators at the middle school, high school, and community college levels.